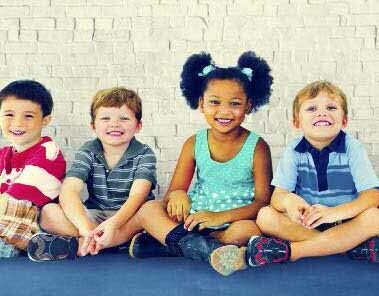 Newark, N.J. — Although New Jersey’s children in immigrant families are more likely to live in low-income households, they are just as likely as kids in US-born families to be enrolled in early education programs and lead productive lives as young adults, according to the 2017 Race for Results: Building a Path to Opportunity for All Children report released today by the Annie E. Casey Foundation. Nationwide, 88 percent of children in immigrant families are US citizens and many of them are children of color. In New Jersey, children in immigrant families are more likely than their counterparts in US-born families to live in two-parent households. Among the state’s foreign-born young adults, ages 19 to 26, 86 percent are in school or working, a rate on par with US-born young adults. At the same time, they are less likely to live with a parent with a high school diploma and more likely to live in families earning below 200 percent of the federal poverty level, or roughly $48,000 annually for a family of four. “The topic of immigration has been at the forefront of political discussions at the state and federal levels. As New Jersey prepares to elect a new governor this November, it is important that we recognized the positive contributions of immigrant families and the importance of a shared opportunity for all children to thrive,” said Cecilia Zalkind, President and CEO of Advocates for Children of New Jersey, the KIDS COUNT grantee for the state. This is the second Race for Results report by the Casey Foundation; the Foundation released the first report in 2014. The report’s index scores for children in different racial groups indicate that New Jersey’s African-American and Latino children face more obstacles on the path to achieving lifelong success than their white and Asian counterparts. Using a scale of one (lowest) to 1,000 (highest), the report’s index measures progress on the national and state levels on key education, health and economic milestones by racial and ethnic groups. This year’s report also features a special focus on children in immigrant families. Asian and Pacific Islander children report some of the highest scores in child well-being by race; their index score of 918 puts them at the top of both the nationwide and state scores. New Jersey’s African-American and Latino child populations scored 475 and 514, respectively. White children reached 842 on the index. It is important to note that for all groups, New Jersey’s index scores exceed the national averages. Fewer than half of the Garden State’s African-American and Latino children live in families earning more than 200 percent of the federal poverty level – about $49,000 for a family of four. For white and Asian and Pacific Islander children, this figure rises to more than 80 percent. The 2017 Race for Results report will be available October 24 at 12:01 a.m. EDT at www.aecf.org/raceforresults/. Additional information is available at www.aecf.org/. The website also contains the most recent national, state and local data on numerous indicators of child well-being. Journalists interested in creating maps, graphs and rankings in stories about Race for Results can use the Data Center at datacenter.kidscount.org. Advocates for Children of New Jersey is the trusted, independent voice putting children’s needs first for more than 35 years. Our work results in better laws and policies, more effective funding and stronger services for children and families. And it means that more children are given the chance to grow up safe, healthy and educated. For more information, visit www.acnj.org. Follow ACNJ on Twitter @acnjforkids and on Facebook at http://www.facebook.com/acnjforkids. The Annie E. Casey Foundation creates a brighter future for the nation’s children by developing solutions to strengthen families, build paths to economic opportunity and transform struggling communities into safer and healthier places to live, work and grow. For more information, visit www.aecf.org. KIDS COUNT is a registered trademark of the Annie E. Casey Foundation. Visit ACNJ's KidLaw resource center for information on children’s legal rights in the areas of child protection and education and to find assistance with other matters. Lead levels of children in New Jersey are increasing, with Newark increasing from 5.3 percent in 2016 to 5.9 percent in 2017. Newark Kids Count 2019 to be released March 28! Join us for a conversation between two of Newark’s young men of color and Mayor Ras Baraka and Superintendent Roger Leon. Sign up today! The initiative is aimed to help the youth of Newark by decreasing violence and conflict.